It seems like the newest fad lately is to take a concert and put it on a cruise ship. You essentially get a festival and a vacation all in one. Plus drinks, more drinks, more drinks, and decent food. You have Holy Ship! expanding to two cruises, Mad Decent Boat Party, Groove Cruise, and more all doing these festivals on the water. The pied piper of dance music, Pete Tong, is set to embark on yet another chapter of his esteemed career. Not content with just being awarded an MBE, Tong is after a captaincy as well, and this November, will serve as skipper on the maiden musical voyage of All Gone To Sea, in partnership with Rose Tours. 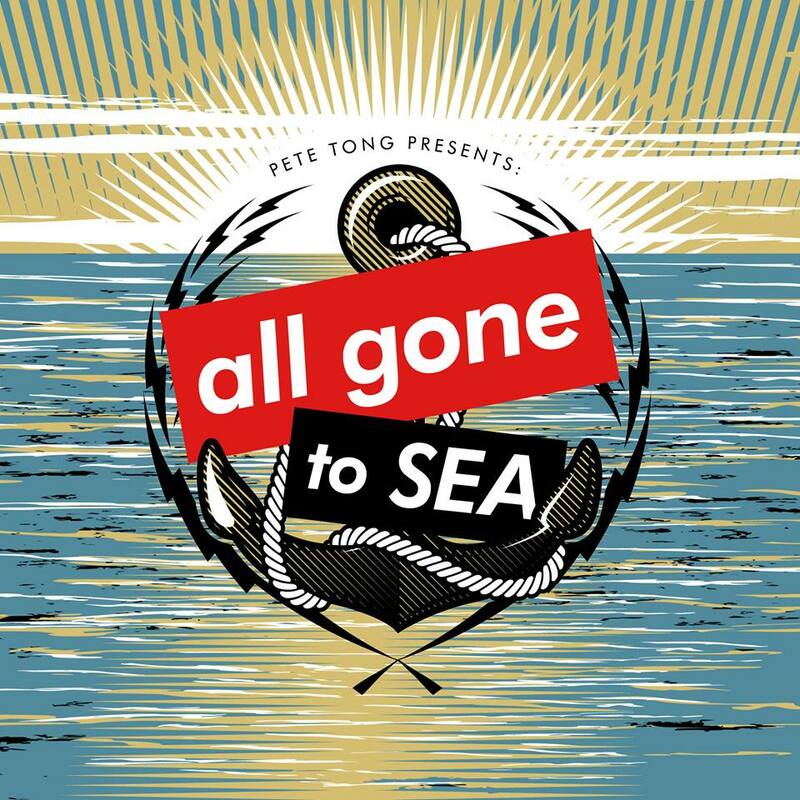 Charting a course that is uniquely his, Pete Tong’s All Gone To Sea will present the biggest names across the dance music spectrum, from super star festival headliners to bleeding edge underground producers. It’s a line-up that is unrivaled, and could only be assembled by Tong himself. 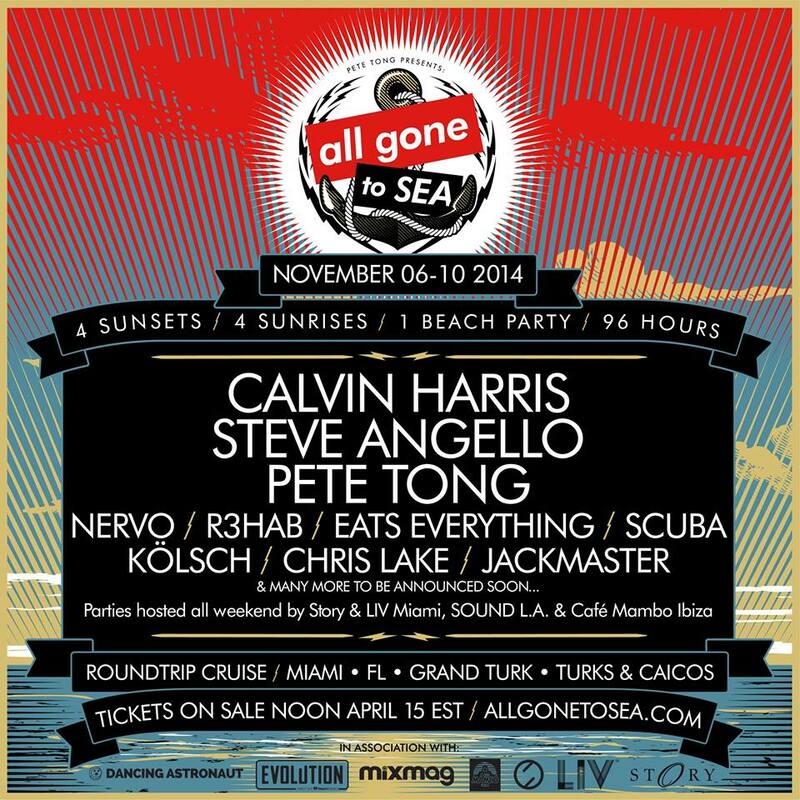 Joining Pete Tong for All Gone To Sea will be Calvin Harris, Steve Angello, NERVO, R3HAB, Eats Everything, Scuba, Kolsch, Chris Lake, Jackmaster and many more TBA. All Gone To Sea will launch November 6, departing from Miami, FL, on a voyage to Grand Turk, Turks & Caicos returning on November 10, encompassing four sunrises, four sunsets, one beach party, 96 hours and 40 DJ’s. From hours spent lolling at anchor, to trawling miles on the open waters, to a magical island take-over, All Gone To Sea, will check all the cruising must dos; A clubland charter without rival, a beat driven odyssey like no other. Ibiza’s legendary Café Mambo will host sunset afternoon sessions each day poolside on the deck, while iconic nightlife brands Story and LIV from Miami and SOUND from Los Angeles will host pop up events and venue take-overs throughout the cruise. All Gone To Sea will be held in association with official radio partner Evolution, the “all things dance” station for iHeartRadio, and media partners Mixmag and Dancing Astronaut. In addition to all of the DJ sets, all lodging & meals are included! The cruise will also offer movie screenings and a full casino featuring blackjack, craps and poker tournaments, 24-hour room service; a fitness center with gym as well as yoga and Pilates sessions; two swimming pools and a whirlpool; a variety of casual and gourmet dining options; an art gallery; internet café; gaming options including mini golf, table tennis and more; karaoke rooms; a library; a video arcade; a hair and beauty salon; spa treatments; duty-free shopping options; and much more.